Scientific Sales The Easy Way With Biotechnology Calendar, Inc.
Are you looking for an easy way to sell scientific products? 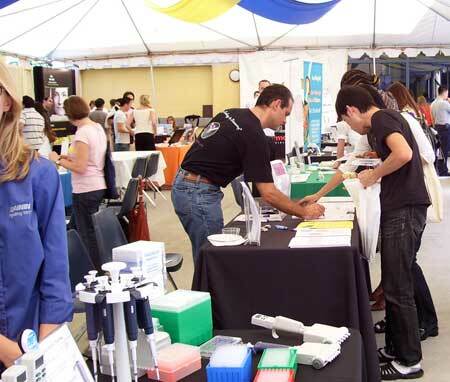 We have built relationships with on-campus departments and academic groups to encourage higher numbers of attendees, who are open to using your products in their laboratories, and who come to our shows. Researcher feedback indicates Biotechnology Calendar Inc. shows are their preferred forum because of our convenient on-campus locations, our largest and most targeted selection of suppliers, and our commitment to researchers. Researchers prefer our shows and demonstrate their choice with their active attendance at our events. Exhibitors report more sales from participating in our vendor shows than similar events organized by other groups. With a six point marketing plan for each show we maximize the attendance of relevant contacts in the exhibit venue allowing you to capture a higher number of leads. Our six point marketing plan consists of: laboratory announcements, e-mail invitations, hand delivered flyers and on-campus posters. Our shows allow you to meet face-to-face with existing and potential customers. 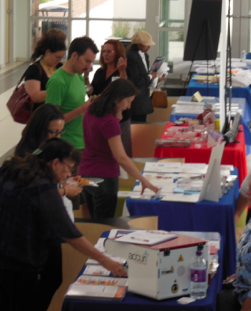 At our events each attendee is screened and registered, to insure high quality leads, and relevant contact information. As your partner, we are committed to providing excellent value for your dollar. Our pre-show publicity places your company name in front of your target market over 3,000 times per event. Depending on the event and the package you select, you may receive as many as 10,000 hard copy impressions promoting your organization, plus extensive web exposure. 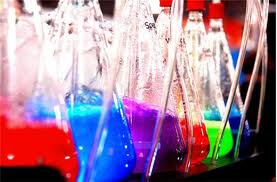 We are your one stop marketing shop, with the opportunity to have: seminars, literature displays, sponsorship opportunities, and advertising in our glossy full color event programs that connect you with top research scientists nationwide. Our pre-show footwork saves you on-site legwork. We take care of every detail allowing you to show up, set-up, and devote your time to connecting with both current and prospective customers. • Access to over $30 Billion dollars in research funding at the select top institutions we serve. • Face to face interaction with over 15,000 receptive researchers including, more than 4,000 decision makers and over 11,000 end-users. • Extended brand exposure with increased pre-show print and electronic publicity with up to 500,000 corporate impressions annually. 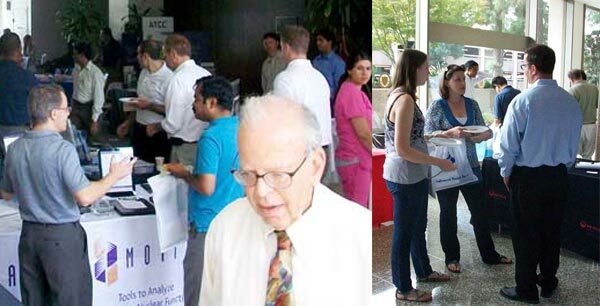 • Continued participation at our events from over 2,330 departments and more than 1,400 different research buildings. See our 2012 schedule here. See our 2013 schedule here.